Anyone who has studied U.S. history might recognize one of the symbolic structures in our nation’s lexicon. 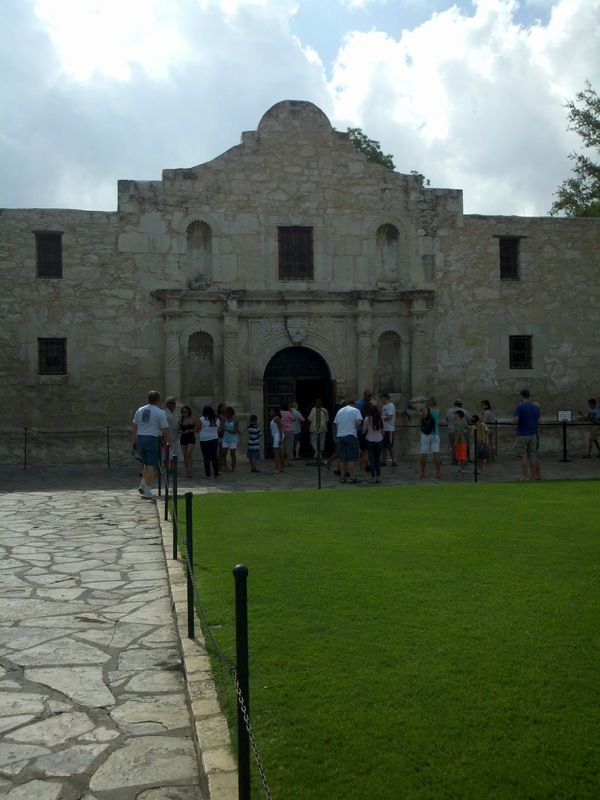 “Remember the Alamo!”. In 1836, a small group of Texicans opposed an overwhelming force of foreign soldiers in the struggle to have an independent state. While these brave men were killed, they were remembered in a rallying cry that later gained Texas as an independent territory from Mexico, and then statehood in the growing United States. Today it is unpopular to be a Christian Disciple, in the true sense of the word. The world at large hates the values and ideals of following a Christian God, partly due to the folly of men and women who have professed a faith in Jesus, but have in practice, have exhibited little of His teaching. In the absence of a true and committed faith and adherence to His Word, cynicism, ignorance, selfishness and brutish behavior fill the vacuum left behind. It is foolishness to those who are perishing, the Bible says. The brave men who took a stand for an ideal and died at the Alamo outnumbered by an enemy, might appear foolish to some. But how many then or today would choose to leave omnipotence to be clothed in human form, suffer and die horribly for the entire race of men across the world -even enemies – including those yet unborn? That God sacrificed His only Son so that we might have the right to become sons and daughters, and to inherit eternal life. I choose to change the course of my life. It is meaningless to squabble over politics, over leaders who have acted one way or another, to hoard up riches or to squander the opportunity to know God. The beginning of knowledge is to be empty of oneself. At a gathering of 18000 faithful, “recovering sinners”, men and women, families of all ages, who chose to worship a Christian God as He intended, I am eternally grateful for the change and focus. As a White Male, whose attitudes were once laughably labelled “Born Forty:, I have chosen to redirect my remaining life in service and worship and Truth.